If you’ve heard about the bed bug scare in the news lately, then you may be concerned about your chances of picking up or bringing home bed bugs. One of the questions, then, that you may be asking yourself is whether you’ll find bed bugs on clothes. Can bed bugs live in clothes? If so, how long? These are a couple of the questions you’ll have answered in this article. Additionally, I’ll give you information about whether your clothes provide any protection from bed bug bites. You’ll also discover the important information about how to get rid of bed bugs on clothes if you do find them there. Read on to learn more and put your mind at ease. Can Bed Bugs Live On Clothes? How Long Will Bed Bugs Live On Clothes? Can Bed Bugs Bite Through Clothing? 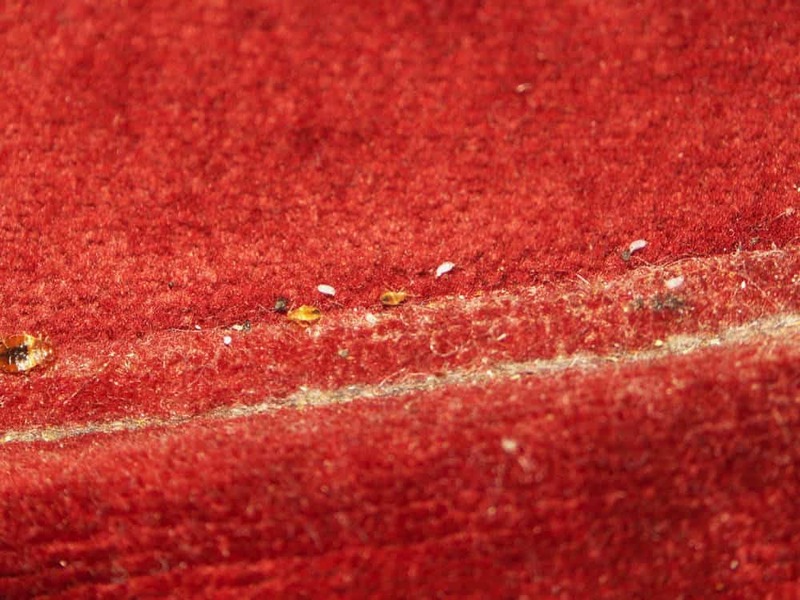 Whether bed bugs can live on clothes is a bit of a tricky question. Yes, they can be on your clothes, but the real question is, which clothes? Will they jump onto the clothes you’re wearing? Are they hiding in your closet? First, bed bugs cannot jump. They also can’t fly. That means if you’re out somewhere and there are bed bugs present, it’s highly unlikely that you’re going to have bed bugs transferred to the clothes you are wearing. It’s not impossible, but it’s extremely rare. Second, bed bugs do not typically like being on a moving host. That’s why they often attack in beds, when you’re asleep, or in comfortable chairs when you’re relaxed and still. Bed bugs do not live on humans, and you are not going to get bed bugs from sitting next to someone on the train, for instance. That being said, you may pick up bed bugs in trains or other vehicles, or even in places like movie theaters, where many people gather at once. You are not “catching” bed bugs from the other people, though. What happens is the bugs take up residence in a building, and they stay there because they discover they can get a steady source of human hosts in a particular area. If you’re in a room or vehicle that has a bed bug colony, they may very well travel back to your home with you in your bag or briefcase, if you carry one. Where do bed bugs find your clothes, then? It’s well-known that people have found bed bugs in their clothes, but it usually happens when clothes are left out in a pile. Clutter is a good hiding spot for bed bugs, which don’t like to be seen. If you leave clothes on the floor or bed, there’s a good chance they can pick up pests. This is even more important to remember when you travel. When you visit a hotel, do not unpack your clothes onto the bed. Bed bugs are happy to climb in with your clothes or directly into your luggage. In fact, this is probably the most common way that bed bugs end up in clothing. As a side note, bed bugs really do not like heat. It happens to be one of the primary methods used to get rid of them, in fact. As you may know, your body puts off quite a lot of heat, so knowing that should help to ease your fear that bed bugs are living in your hair or under your clothes. They come for a blood meal, and they leave. In addition to disliking body heat, bed bugs also are not well-equipped to crawl through your hair. If you do find bugs crawling on your body or in your hair, then you probably have something else, like ticks, lice, or fleas. Any of these can also be found on clothing you are wearing. 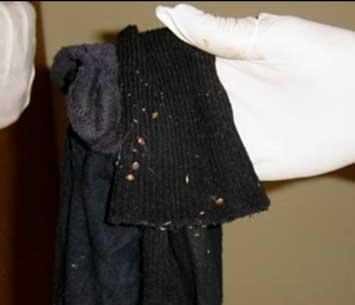 Bed bugs found in clothes that you are wearing were likely trying to hitch a ride until they could find a place to get off and make a hiding spot. If you do end up with bed bugs in your clothes, such as in luggage or a pile of discarded laundry, then you may be wondering what to do about it. Can you just leave the clothes tucked away until the pests starve and die? Here are two reasons why starving out bed bugs will not work. First, the bed bugs will leave your clothing to search for a host to feed from. That means even if they’ve made the clothes their hideout, they will do what they can to get a meal. If they succeed at living your luggage or clothing pile, they can survive indefinitely and start an infestation in your home. 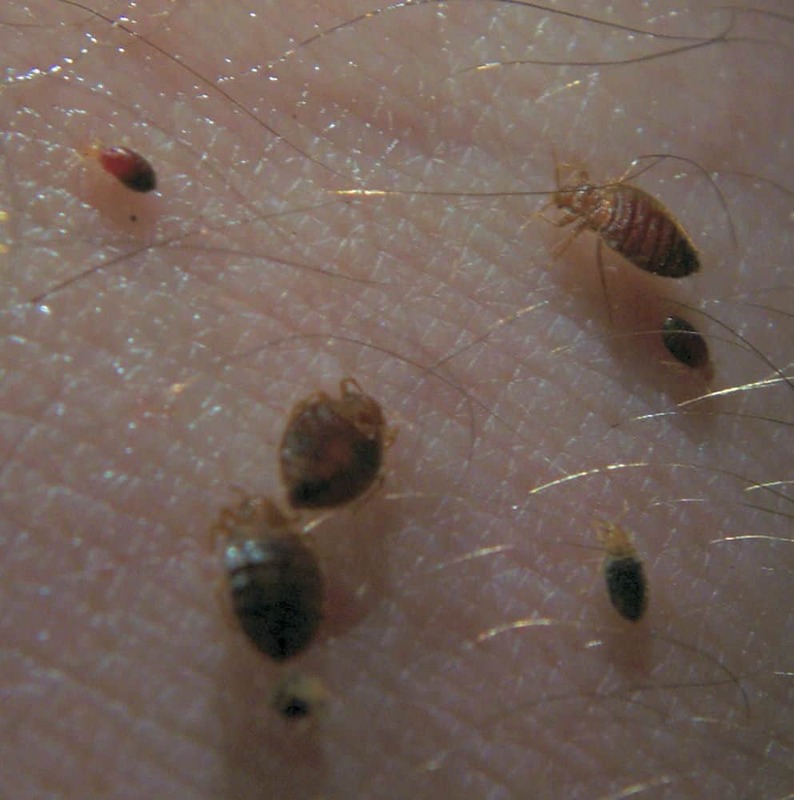 Second, bed bugs can go for a significant period of time without feeding. How long? In ideal conditions for them, they can live over a year without taking a meal. Typically, colder temperatures allow them to survive longer without a host. In usual circumstances, a bed bug can go several months between meals if it has to. Do you want to leave your clothes unwashed for months in the hope that bed bugs will just go away? Clearly, that’s not going to work. As with finding bugs on your body, if you find bugs on your clothes or bite marks under your clothes, that doesn’t necessarily mean you have bed bugs. Bed bug bites look quite similar to other insect or arachnid bites. Speaking of bites, what about getting bites through clothing? Does that happen? In most cases, the answer is no. 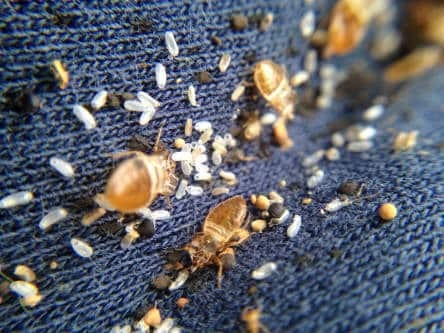 Bed bugs feed under fairly specific circumstances, and you generally don’t have to worry about getting bitten through your clothes. Unfortunately, bed bugs are tiny, and they can crawl under your clothes fairly easily. What that means is that they can still bite under your clothes, despite not being able to bite through them. A bed bug’s mouthparts can’t penetrate most clothing, but that doesn’t make clothes a good option for preventing bites if you have an infestation. Not only can they crawl under clothes, but they are happy to bite any exposed area of skin, including the face and neck. The exception to whether bed bugs can bite through clothing is if you are wearing especially thin material. In that case, it may be possible to receive a bite through the clothes. If you found out that your clothes or luggage has become infested with bed bugs, don’t panic. There are things you can do to make your clothing safe to wear again. You also have options for preventing the spread of bed bugs, if you realize you picked them up before taking the affected clothing out in your home. First thing’s first, try to prevent spreading bed bugs anywhere else. That means containing whatever bugs you have found, wherever you have found them. 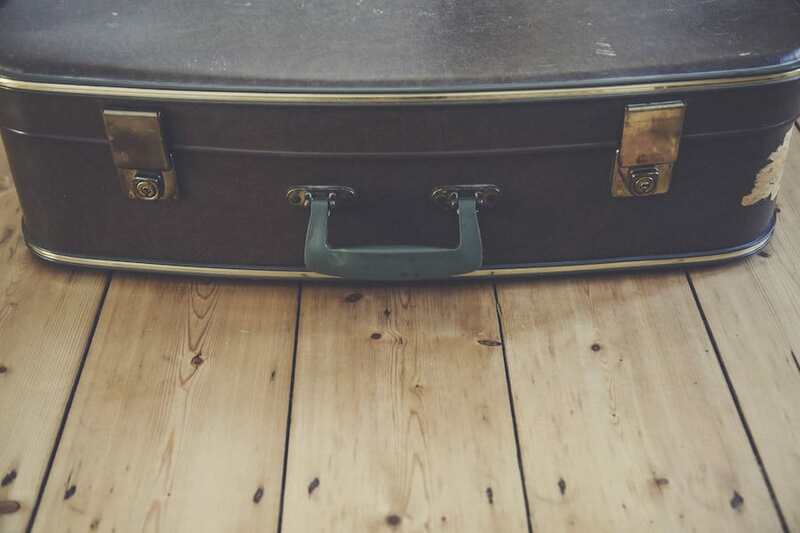 Do not transport the clothing, luggage, shoes, or bag with bed bugs anywhere else. Double seal the affected items in two plastic zipper bags or trash bags. Then, transport them to the area where you plan to treat the clothing. Double sealing prevents individual bugs from escaping during transport. Even a single bug can start a new colony, if it’s a fertilized female. Be sure to check everything carefully as smaller bed bugs can be very hard to see, and you don't want to miss leaving any infested clothing laying around the house. You then have a few different options for destroying the pests. The simplest method is to just throw away the double-sealed clothing or items. However, this may not be the best method, if the items were expensive or you want to keep them. You can use heat to destroy the bed bugs. Putting the sealed bags in direct sun on a hot day can raise the temperature high enough to kill them. However, this method can be quite unreliable, and for this to work, you need to confirm that the internal temperature of the bag reaches at least 118 degrees Fahrenheit or more for at least 90 minutes in order to completely get rid of the infestation in your clothing. 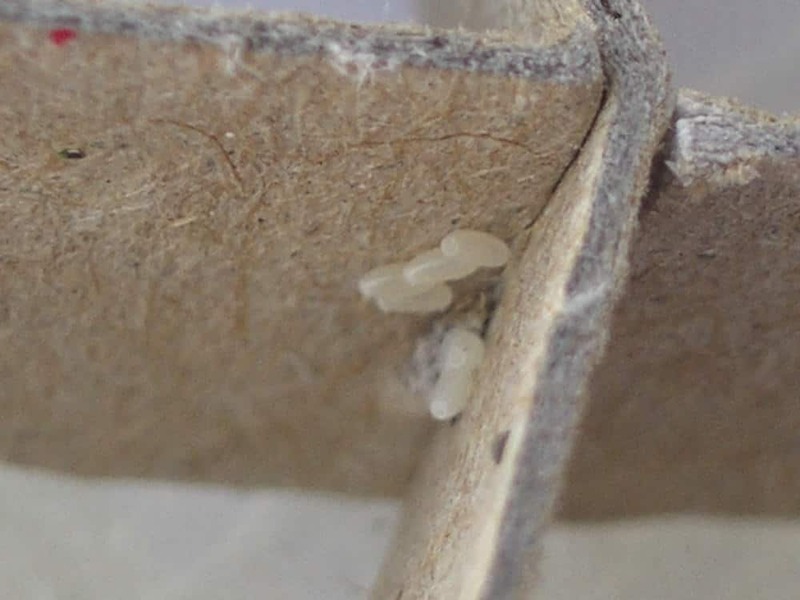 Bed bugs can actually be destroyed at slightly lower sustained temperatures, but the eggs require higher temps and longer durations. If you don’t destroy all the eggs, the bugs will just come back. A better way to use heat to kill bed bugs is to apply a steamer directly to clothing, or using a specially-made bed bug heater. My favorite way to heat household items to a temperature that is sure to kill all bed bugs and eggs without needing to purchase expensive pest control heat treatment is to use a ZappBug Heater, which is specially designed to kill all stages in the bed bug life cycle. Simply place infested items into the ZappBug heater and it will automatically reach the all-important bed bug killing temperature, so you can be sure the items come out all-clear. ZappBug also sell a smaller size, and an extra-large size, which is able to accommodate couches, mattresses and many other large household items. Of course, you will still need to use caution to transport them to a laundry room or laundromat after heat treatment if you want to wear the clothes without bug corpses all over them. Even if you choose not to use outdoor heat, washing and then drying the clothes at high temperature for 90 minutes will remove and destroy the bugs. It’s normal to be grossed out by bed bugs on clothes, but you can get rid of them and prevent them from spreading by following the steps set out in this article. Once your clothing has been treated, it's extremely important to keep it away from other infested items around the house.